Viva Espana ! 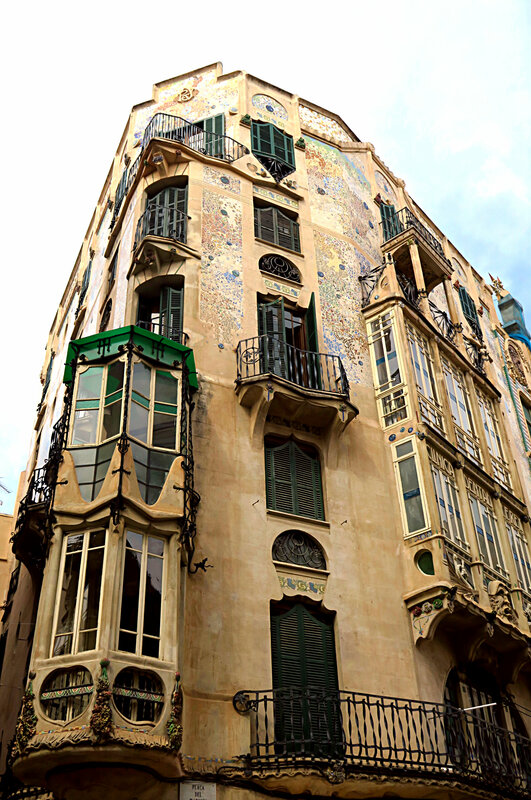 Palma’s Architectural Gems. 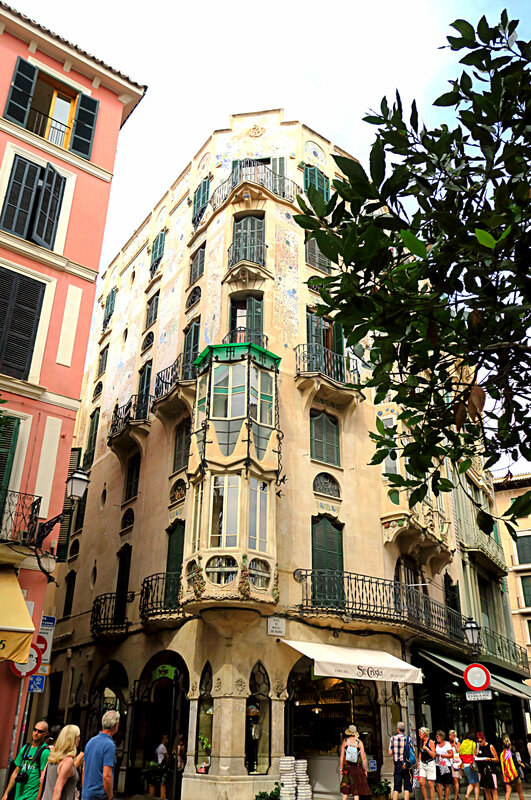 Following on from my last post about my trip to Palma, Mallorca last September let’s go on a walk through the back streets of the old town of Palma and explore the architectural gems of one of Spain’s most magical cities. 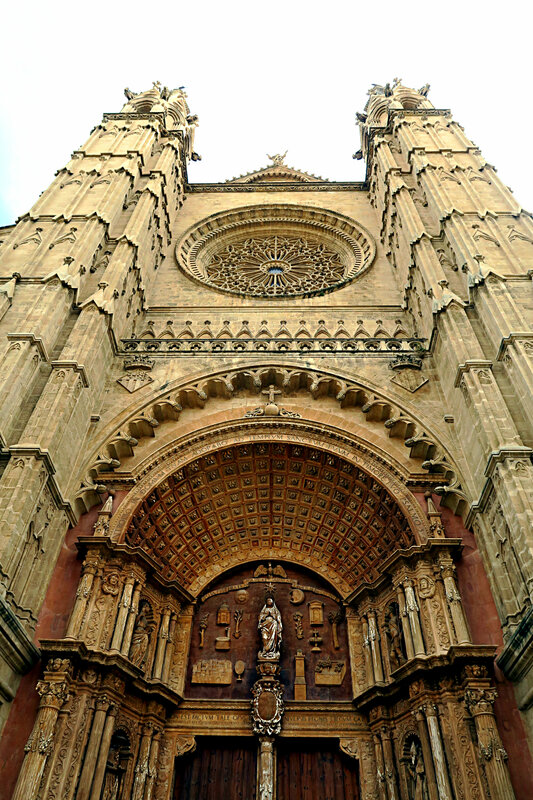 Palma has seen a lot of history. A heck of a lot. It was first a Roman camp, then it was conquered by both Byzantine and Muslim empires before finally becoming a Christian country in the 12th century with the starting of the building of ‘La Seu’ cathedral. 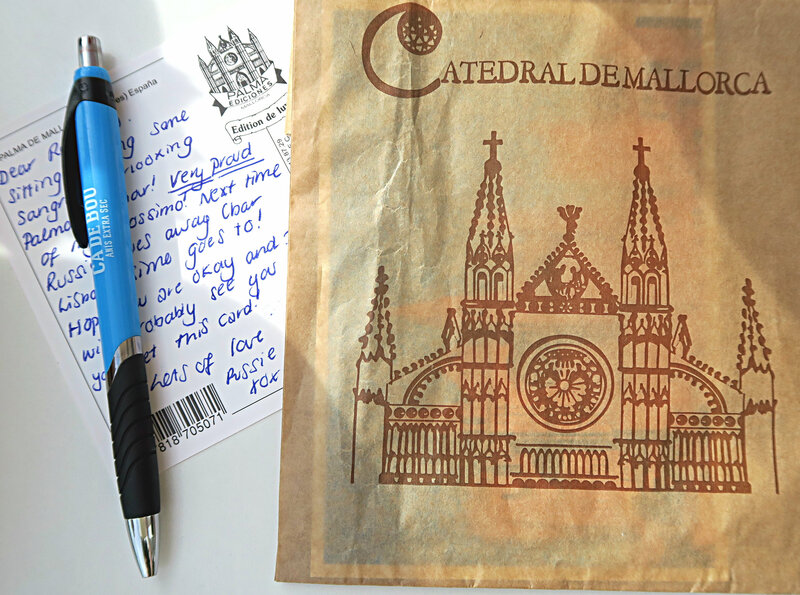 The cathedral and attached museum costs less than ten euros and is worth every single cent. As a rule I don’t take pictures in churches and religious spaces out of respect for the worshippers of that space. 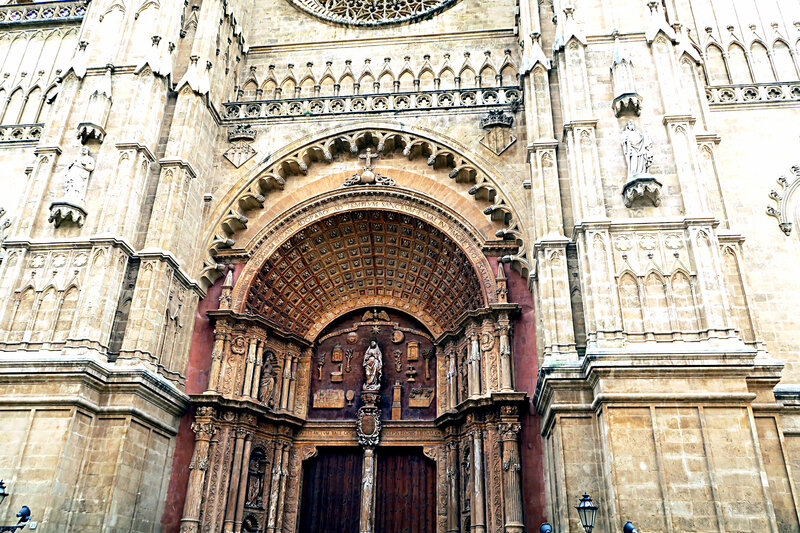 But trust me when I say that the La Seu cathedral is one of the most beautiful cathedral’s I’ve ever seen and I’ve seen A LOT of cathedrals. 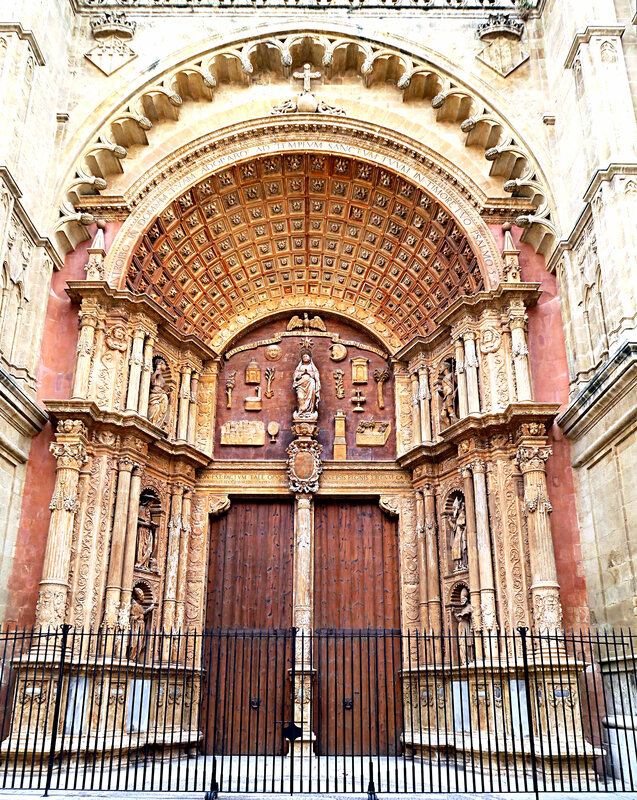 The outside is of a honey coloured sandstone with carved stone statues of the Virgin Mary’s and other various saints. 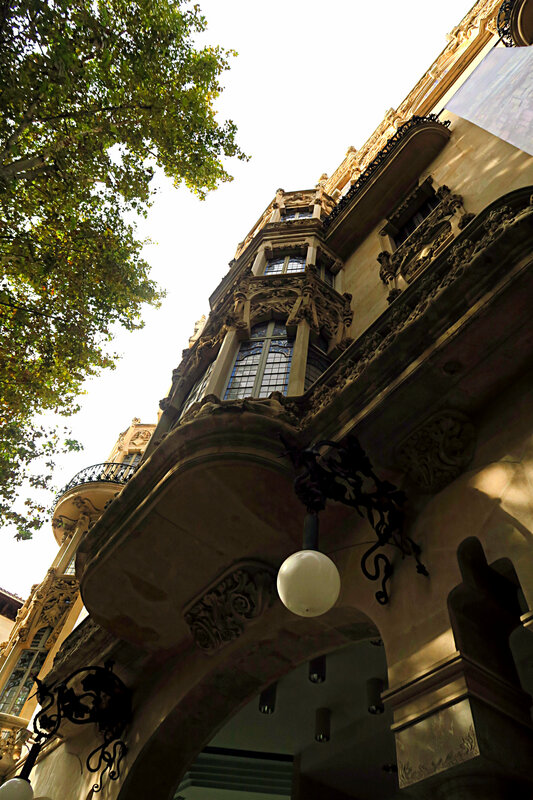 After walking through the cathedral and adjoining old town (and enjoying some amazing wine and tapas) we ended up near Placa Major and found his exquisite Gaudi-esque shop and apartment building. The fact that it was a Chocolatier was a bonus. 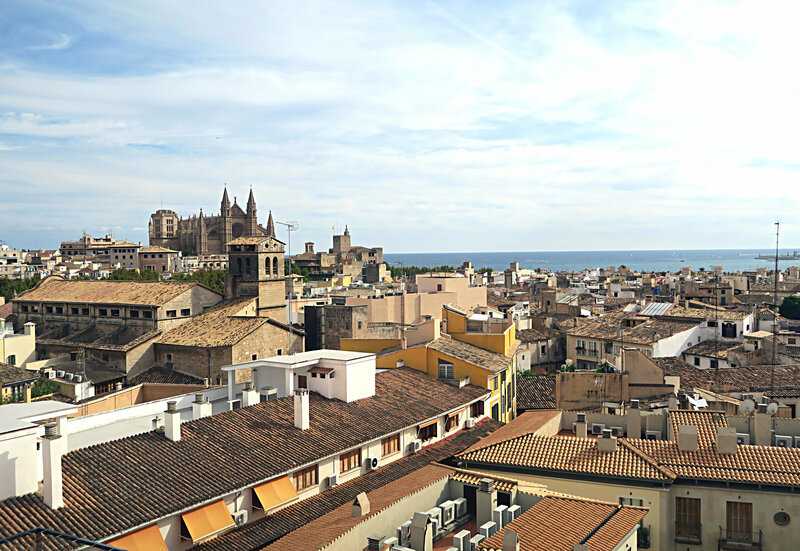 After a happy half an hour spent sampling chocolate we moved on to explore Palma further. 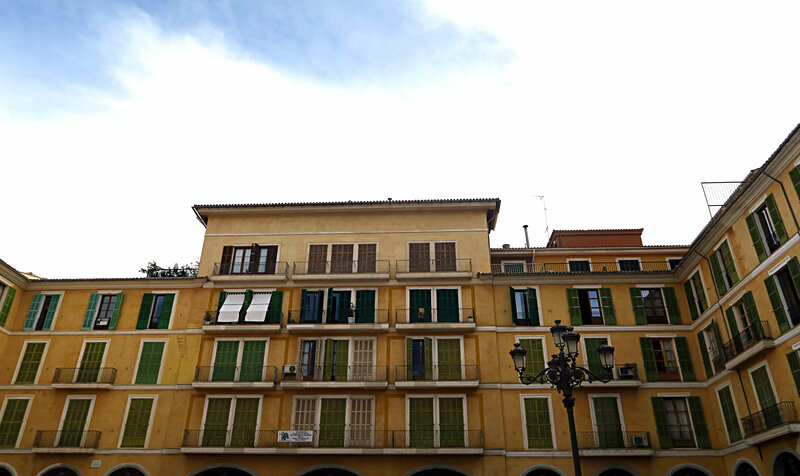 Placa Major is a beautiful square surrounded by apartments buildings, (tacky!) restaurants and an open air market. We meandered through the various stalls and picked up some cheese, fruit, cured pork for my parents ( I don’t eat pork) and local beer. To say that the beer and cheese is some of the best I’ve ever had is an understement. They were both divine. We continued our walk through the old town to our hotel, Hotel Almudaina, to relax and re-cuperate from a long, hot day of exploring and eating our way through Palma. The view from our hotel was spectacular and was the perfect place to spend the evening on the roof top bar writing post cards and drinking sangria. Next Post A 1930’s Domestic Dream; The Black Country Living Museum.